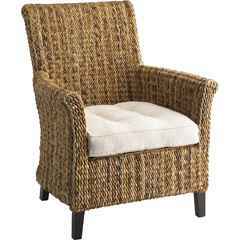 California Livin Home: Sharon's Fantastic FInds for the Week! Who doesn't love shopping? I hate clothes shopping only because I am rather tall and nothing ever fit's. I do however love home stores. Get me in a Pottery Barn and I could spend hours there. I love mixing textures and fabrics. Since I sew I can make all my own pillows and change them when the mood strikes me. However, changing out pillows every 6 months is a lot easier and cheaper than changing furniture on a whim. We buy what we like and furniture is something we buy and have to "like" for a whole lot longer than 6 months. Consider this Banana Armchair. I saw this at Pier 1 Imports. The cushion is white but can easily be changed with the season. Add a pillow and volia! you have another look! Accessories, also another easy addition. Now I personally thought this lantern was a bit on the kitschy side for the indoors, but outside would look great on my porch or patio. 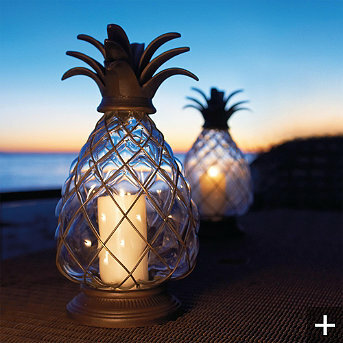 With the candle lit it could guide people up to the front door instead of that obnoxious sensored lamp or put a nice glow to an entertaining outdoor space. 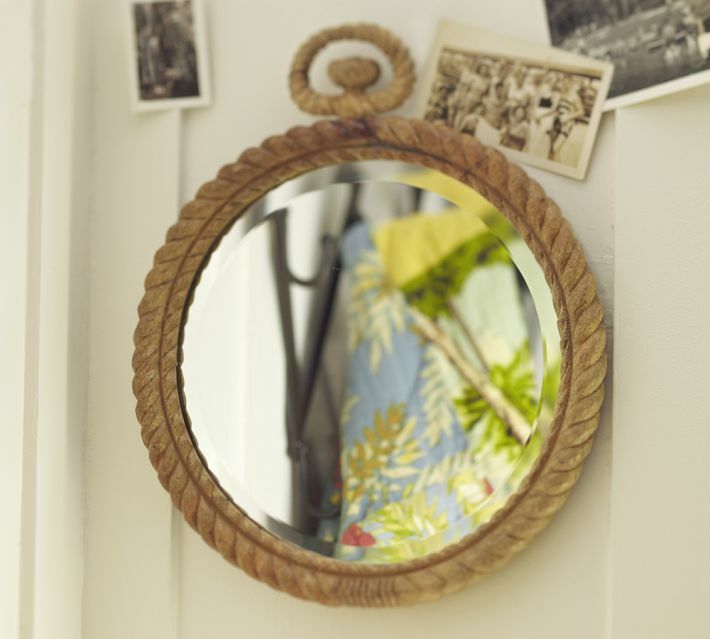 Now who wouldn't love this mirror. Used in your entry or hallway what a great unexpected piece instead of the usual family picture! 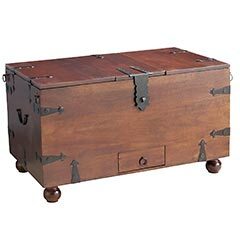 Another piece that can easily be moved from hall to entry to bedroom. Saw this trunk and thought of all the possibilities. Side table, coffee table, entry piece, at the foot of your bed......the possibilities are endless! 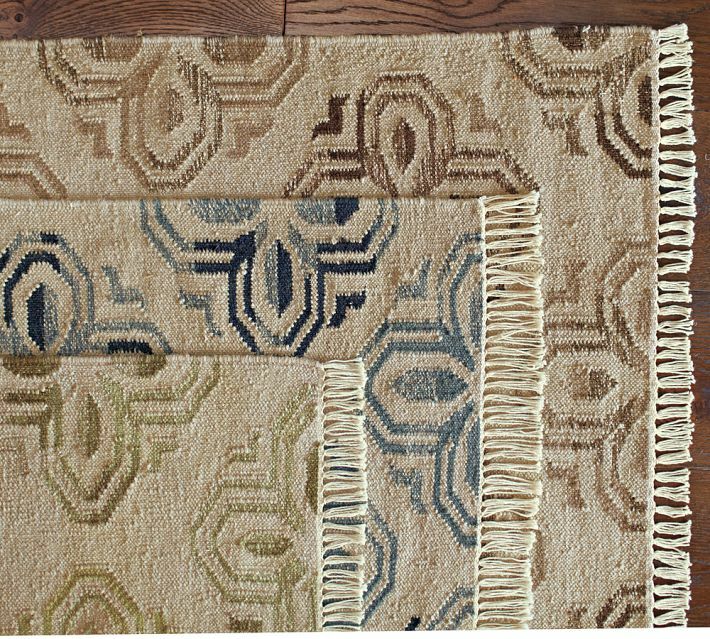 Area rug's are another item that can easily be swapped out and used in other rooms. They can also totally change the look of your room. 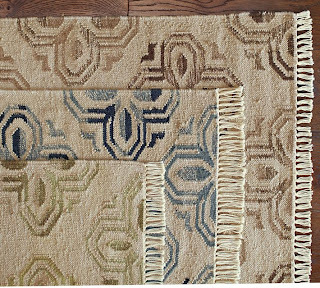 These Dhurrie Rugs are from Pottery Barn and an 8x10 will cost you $499. Still less than changing out that sofa! The WInslow Stool at ZGALLERIE in Aquamarine priced at $199.95. 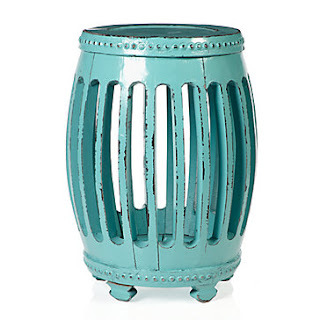 Another must have for a tiny unused corner that needs a pop of color or a plant or whatever! And last but not least table lamps. You can never have too many of these. I especially loved this one because it was made with Mercury Glass. 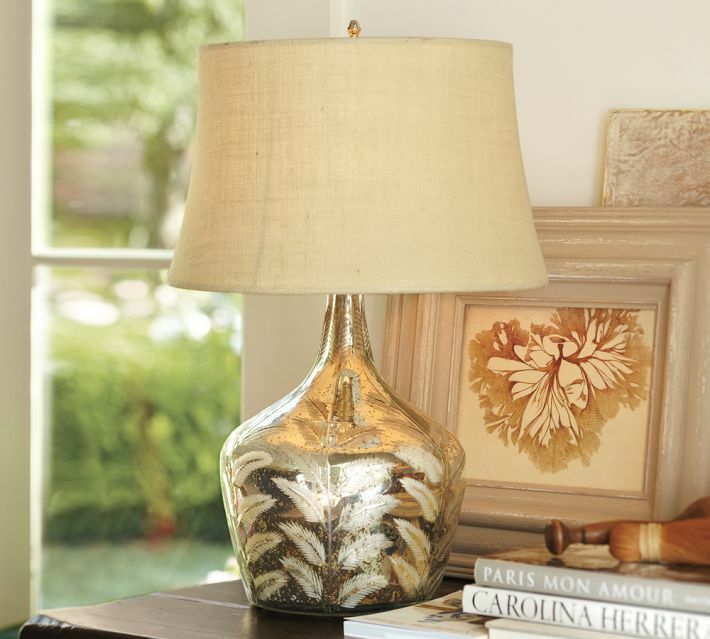 Pick this Etched Fern Mercury Glass Table Lamp up at Pottery Barn for $259. Great post, thanks for sharing. All of those pieces look lovely.